Today we are going to talk about some public art exhibits and about going to art museums. We will discover an interesting story about a piece of art by Banksy in Los Angeles, California. 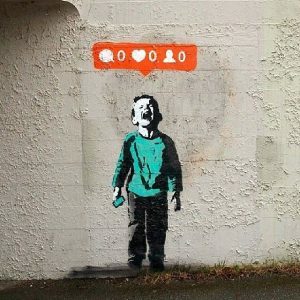 We will talk about graffiti, street art, and we will look at some of Banksy’s popular art. Here is the Prezi presentation about some of his famous pieces of art: http://prezi.com/qoompypqx6-y/?utm_campaign=share&utm_medium=copy&rc=ex0share. We will talk about these important questions surrounding street art and Grafitti.